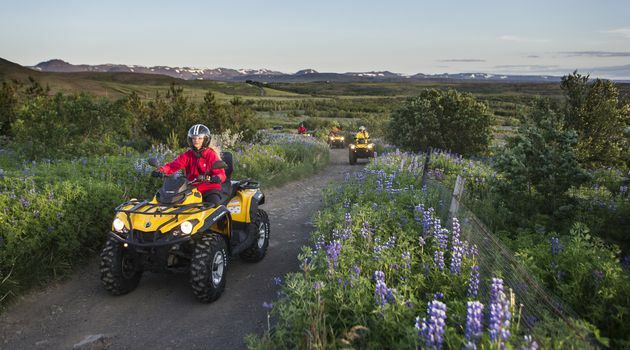 Mountain Safari is a great quad bike/ATV tour in the vicinity of Reykjavik. 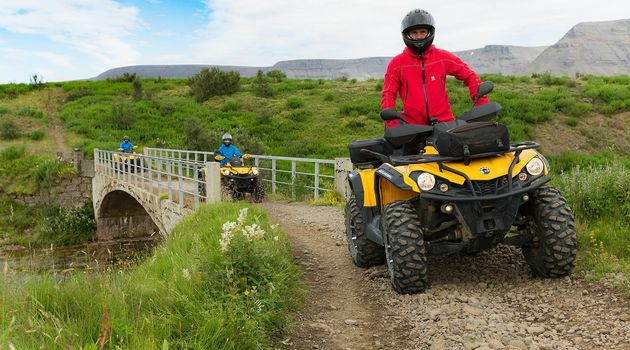 Explore the peaceful scenic outback of the capital city of Iceland on quad bikes. 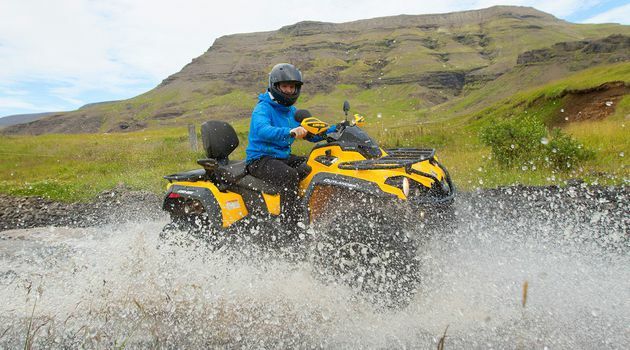 An enjoyable adventure tour only 15 minutes from most hotels in Reykjavik, fun for the whole family. 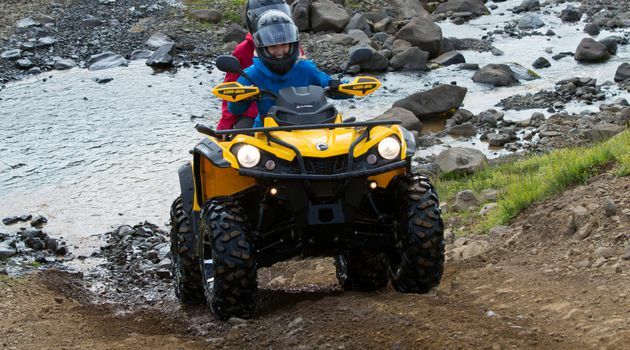 Mountain Safari is ideal for beginners, and those who want to try something new while enjoying the outdoors. 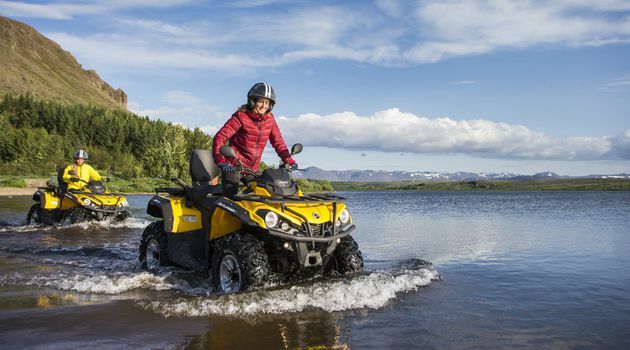 Exploring the back country of Reykjavik has now been made accessible for everyone in a safe and fun way. 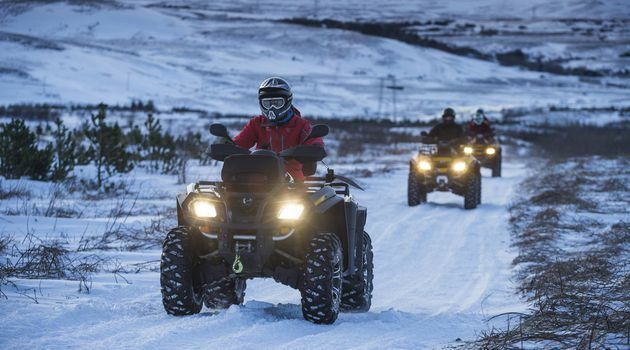 Never been on a quad bike before? Don’t worry. 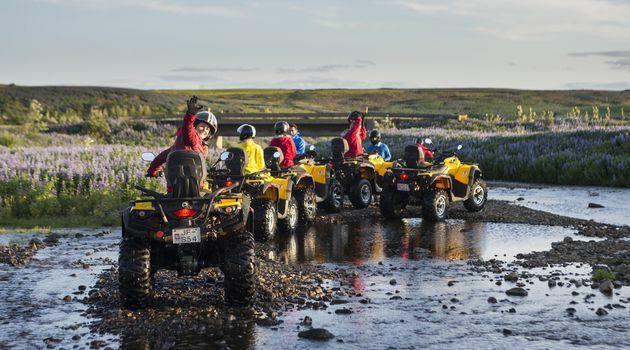 Most of our guests are first timers, and our skillful guides will give special care and attention to those new to the experience. 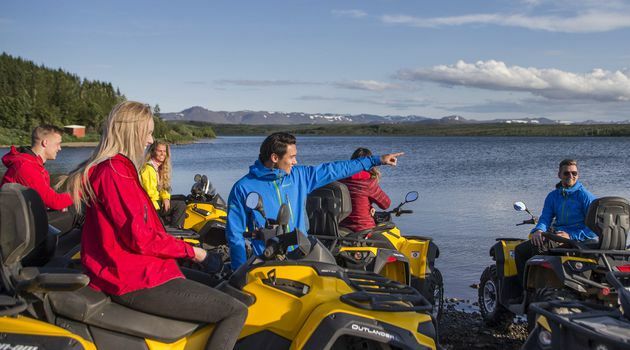 The bikes are easy to operate, and before every tour, our guides will give you operational and safety instructions. 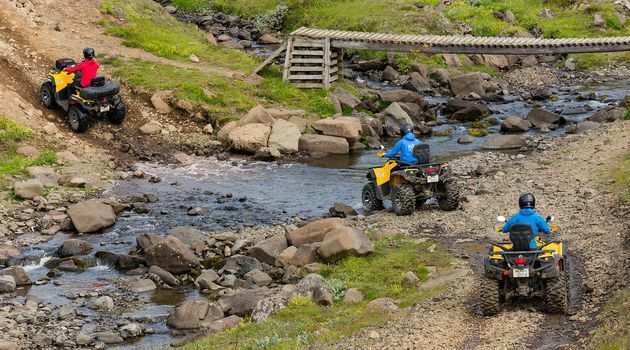 From our base camp we start the ride on a asphalt road and then take a turn into a gravel road along beautiful lake Hafravatn before heading up a mountain trail to the top of Hafrafell. 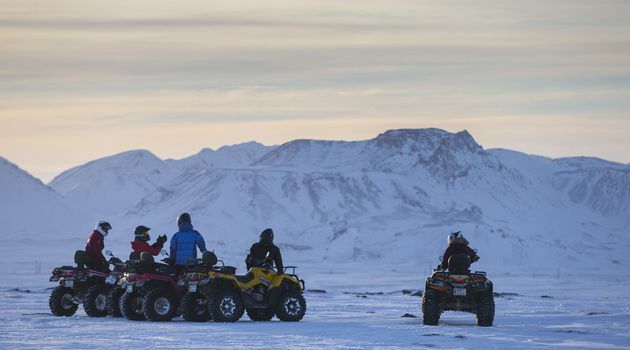 Once you stand there, you get to enjoy the great view over the whole Reykjavík area and the surrounding mountain range. 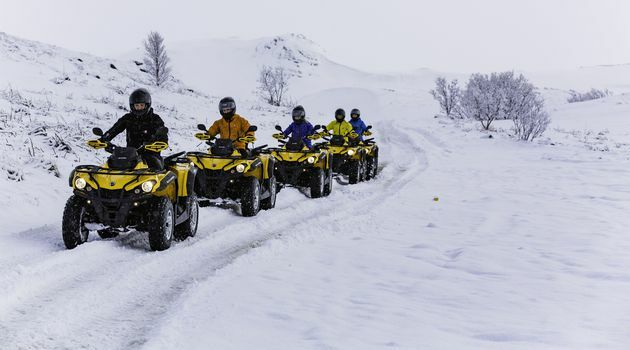 The Mountain Safari Tour is an excellent choice for a half day adventure. 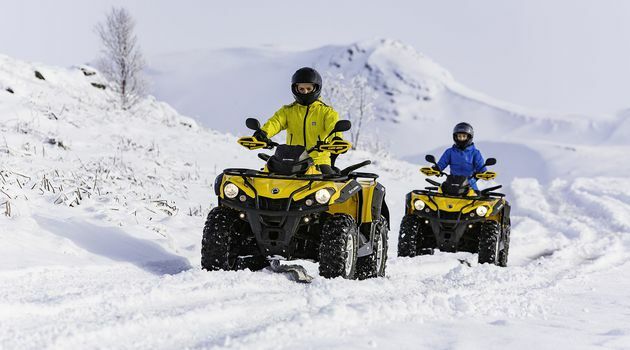 You can pick between a morning or afternoon departure, depending on your schedule, or combine it with another activity or sightseeing trip.